Many of you are probably well acquainted with the incredible work of Anne Yorks, of Flour Box Bakery, whose tireless enthusiasm and energy are an inspiration to us all. Her talent for reinterpreting shapes is also amongst the best. My baking passion comes from my childhood – I have always loved to bake and love all things sweet! I grew up baking with my mom at holidays. She was a busy single mom of three and worked two jobs to provide for our family. This time with her in the kitchen was priceless!! We loved to make cut-out cookies at Christmas and would spread the icing with a knife. With a pinch of sprinkles, our masterpieces were complete! My, how my decorating has changed!! When I discovered royal icing, I fell in love. 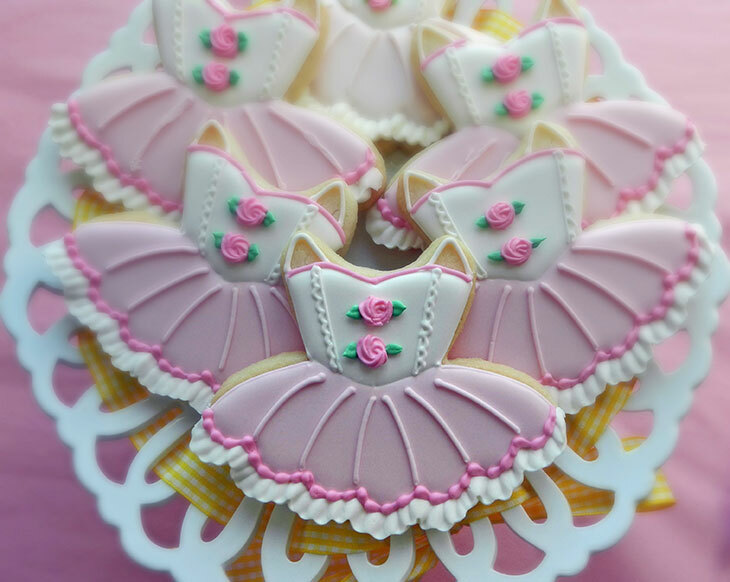 I have been decorating 'fancy' cookies almost every day for the past 9 years! Photo courtesy of Flour Box Bakery. Shape used Cat Face Cookie Cutter. I have learned to decorate by trial and error. Plus, the cookie community is super supportive and generous with helping others. I have learned so much from my cookie friends. I also love reading cookie blogs and books! 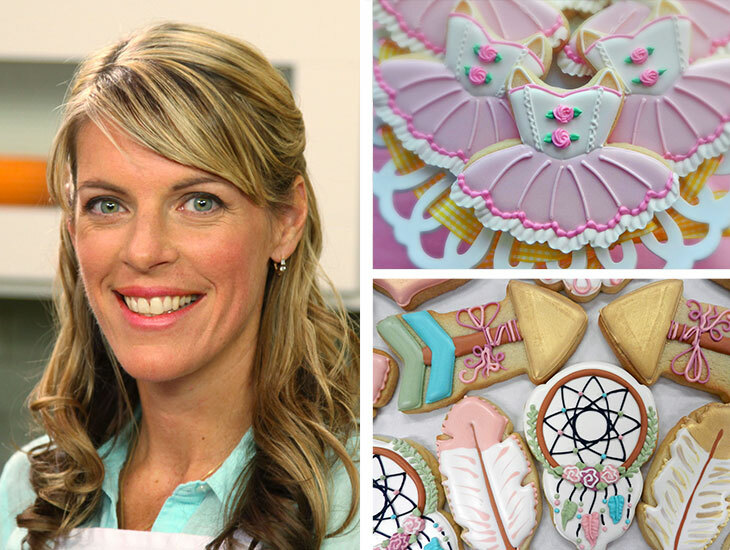 I'm a huge fan of Sweet Sugarbelle and Bake at 350 – two pioneers of decorating. Those were the first few cookie decorators that I connected with. Over years, and thousands of cookies later, I still find new ideas and techniques that I want to try! Photo courtesy of Flour Box Bakery. Shapes used Republican Elephant Cookie Cutter and Ice Cream Cone Cookie Cutter. I love bright colors and getting creative with cookie cutters! I like to pipe and outline designs and get creative with specialty icing tips. I love to make videos of my creations to show others how to do it! If you're new to decorating I always suggest keeping those first few projects simple! It will save time and reduce frustration. Sticking to 2-3 shapes and planning on 3-5 icing colors is a great guideline. Sketch designs first and get the prep work (baking and making icing) done the day before you decorate! Photo courtesy of Flour Box Bakery. 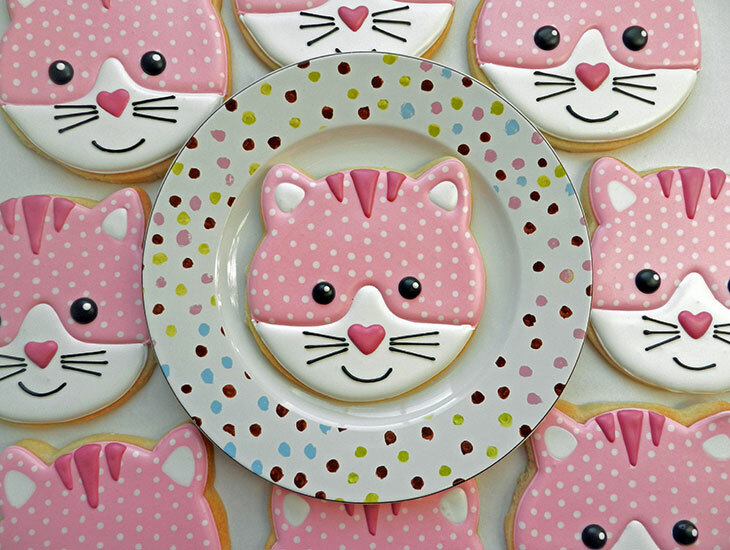 I love using Ann Clark Cookie Cutters – they are my go-to cutters!! I love the cupcake and cake and there are so many seasonal cutters to choose from, too! One of my all-time favorites is the tutu cutter. 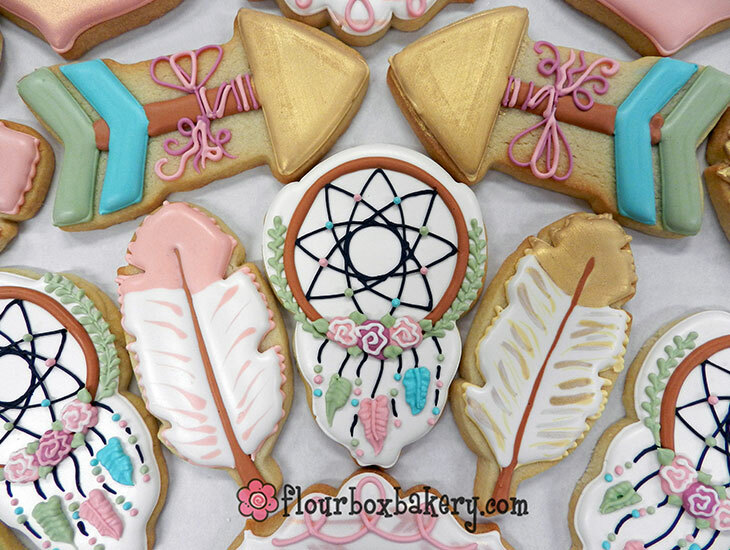 It's such a pretty (and popular) cookie design. I also love turning the Ann Clark flip flop cutter into a ballet slipper! 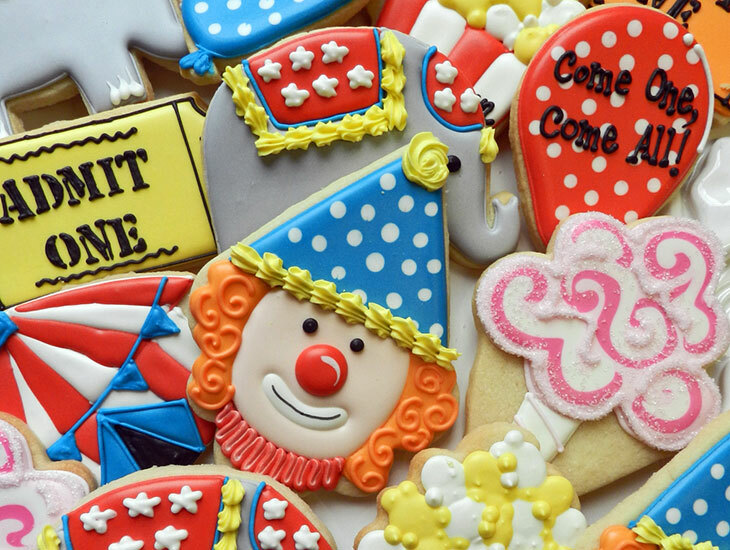 Cookie trends are always evolving and sometimes it seems hard to keep up! I see a lot of decorators (cake and cookie) playing with texture and color. Whether it is lace or watercolor, woodland animals or boho chic. ..it seems as though anything can be turned into a cookie! Social media is such a beast and it's hard to keep up with everything. I seriously try to limit my time, otherwise I get sucked in and procrastinate on my cookie work! I love that it is a free way to promote my business and my work and I LOVE connecting with other decorators. I have met some really amazing friends through Facebook. Over the years, we have shared cookie ideas and decorating techniques. And then at some point our relationships went beyond the cookie. Cookie friends are the best! Photo courtesy of Flour Box Bakery. Shapes used Arrow Cookie Cutter and Feather Cookie Cutter. I find inspiration everywhere: craft stores, real life items, t-shirts, clipart, wrapping paper, the list could go on forever. When I see something inspiring, I love to snap a pic with my phone so I remember it later. I love to take the inspiration I find and sketch my designs. Not only is the sketch a roadmap to how to make the cookie, it also helps me plan how much icing to make! Does Netflix count? LOL? I have rewatched Gilmore Girls way more times than I would like to admit... those late nights and early mornings can be tough! But seriously, I think my favorite tool is my scribe. I know a toothpick does all the same tasks, but I love the thinner point and long handle. It is great for 'taming the icing', popping air bubbles, and doing all sorts of fun wet-on-wet icing techniques! This is a toughie, but I'm going to go with the cupcake. I use it weekly for every holiday and event possible. It's a great size and just so darn cute. If it had cheeks, I would pinch them! It's impossible to pick just one. I follow hundreds (or more) amazing decorators and I can see so much love in every project. 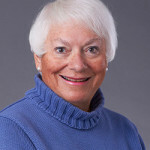 So, if I have to name names, I think I'll go with my mom – my original baking and decorating buddy. Our cookies were different than the ones I make today, but she taught me how much fun it is to spend time with family in the kitchen.